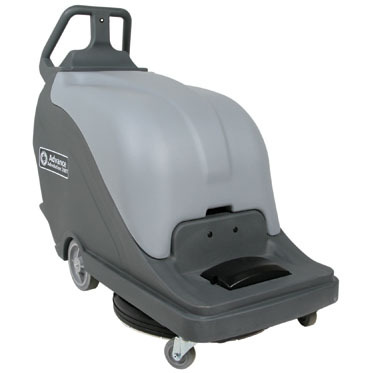 The NILFISK ADVOLUTION 20B is a battery powered burnisher. This unit is equipped with Flex Floor Technology which enables the motor to pivot and hug floor contours. The patented gas spring technology regulates the head pressure for the maximum shine on hard floor surfaces. The NILFISK ADVOLUTION 20B has a SafeStart function that requires the handle to be in the operating position before it can be started, decreasing work related accidents. This unit collects dust in the dual port dust bag eliminating the use of more equipment and providing quality indoor air.